Top Notch Domains, LLC is a privately owned web development and domain name monetization firm that was established in 2006. The company owns several hundred domain names and operates popular websites and brands. Learn about the development projects that are being undertaken by Top Notch Domains, LLC as well as the company's domain name investments. Recognized as an expert in the specialized business of domain name investing and trading, Elliot Silver has been an invited speaker and panelist at domain investing business conferences and events, including TRAFFIC (Las Vegas, New York, and Florida), DomainFest, and NamesCon. 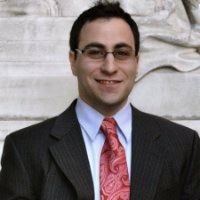 Elliot Silver's Blog, DomainInvesting.com, has been citied in technology and mainstream publications, such as the Boston Globe, New York Post, Forbes, Engadget, TechCrunch, Ars Technica, The Next Web, Business Insider, and many other popular publications and trade journals. In January of 2008, Elliot won the Domainers Choice Award for Best Domainers Blog. In April of 2008, Elliot won a Name Intelligence Award for Best Blog Community, awarded for "great commentary and personal insights into the domain industry." Elliot was presented with a TRAFFIC Award for Best Domain Blog in October of 2010 in Miami, Florida, an award voted on by his colleagues. Elliot won this award again in 2016. Elliot has also been nominated for a variety of other industry awards. Born and educated in Nashua, New Hampshire, Elliot holds a Bachelor's Degree in Business Administration and History from Muhlenberg College in Allentown, Pennsylvania (2002). 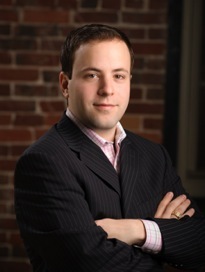 Elliot also holds a Master's Degree in Direct and Interactive Marketing from New York University (2003). Prior to founding Top Notch Domains, LLC, Elliot was a Senior Marketing Program Manager at AIG, working in the Domestic Brokerage Group's direct marketing team based in New York City. Before working at AIG, Elliot worked as a Project Manager at Madison Avenue direct marketing agency, Wunderman, part of Y&R Brands. Elliot resides with his family in a suburb of Boston, Massachusetts. He is an avid Red Sox and Patriots fan, and he enjoys skiing (at Breckenridge), tennis (in Florida), blackjack (in Vegas), and red wine (anywhere with friends). In his capacity as General Counsel for Top Notch Domains, LLC, Scott writes, reviews, and summarizes a variety of contracts, including purchase and sale agreements, lease agreements, and complex licensing agreements. Scott also advises Top Notch Domains, LLC, regarding legal issues, trademark enforcement, and corporate litigation. In addition to his role as General Counsel, Scott works for the U. S. Air Force. There, he conducts pre-award and post-award contract functions, including contract modifications; interprets FAR, DFARS, and AFFARS provisions to ensure compliance with appropriate laws and relevant policies. Prior to this, Scott worked at the law firm of John Postl, P.C. where he focused his practice on corporate litigation and advised the firm's clients through civil actions in the Commonwealth of Massachusetts' trial courts. Scott, a native of New Hampshire, received a B.A. degree from Muhlenberg College in 2004 and subsequently worked for four years as a law clerk in Maryland. In 2010, he received a J.D. degree from Suffolk University Law School in Boston. Scott lives in the suburbs of Boston with his wife, Lauren and Gooner, a rescue German Shepherd mix. When they're not playing at one of the local dog parks, Scott enjoys watching Gooner's namesake, Arsenal, F.C. an English soccer team. Admitted to practice: Massachusetts, New York (inactive), Pennsylvania (inactive), and New Jersey (inactive).